This week’s Satellite Image of the Week shows snow all over the Dakotas. I like this picture for two reasons. The first is that you can see some light clouds that come from the sublimation of the snow, particularly in the southwestern corner of both states. The second reason is that all of the snow is up there where it belongs and not down by me. 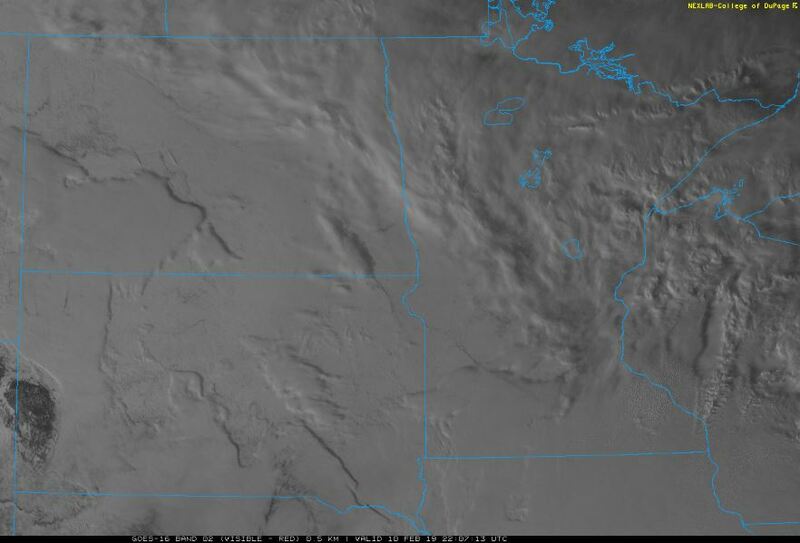 This entry was posted in Satellite Imagery and tagged #meteorlogy, #ndwx, #sdwx, GOES 16, North Dakota, satellite, snow, south dakota, weather. Bookmark the permalink.